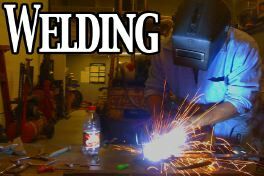 We perform a wide variety of welding services in our shop or at your location. Our experienced technicians are trained in welding & fabricating on most types of materials. We modify truck bodies, trailers, & axles. We also repair heavy equipment attachments for excavators, loaders & dozers.